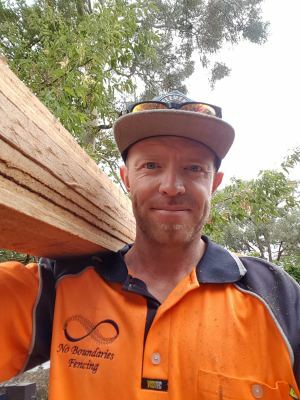 Dan founded the No Boundaries Fencing business in 2013, after working within the building and construction industry for many years prior. Dan is passionate about what he does and Ioves working with customers to help bring their ideas into reality. "It is always such a buzz seeing the customer’s reactions to new work - whether it’s for security, landscaping or just privacy. Seeing the things we build having such a positive impact on people never gets old. I am lucky to be doing what I enjoy so much!"